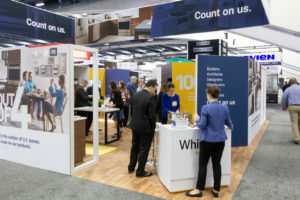 BENTON HARBOR, Mich. (June 27, 2018) – Luxury kitchen appliance brand JennAir® boasts a creative platform and new brand ethos, Bound By Nothing™, which will take center stage at the Whirlpool Corporation booth at the Pacific Coast Builders Conference (PCBC) in San Francisco. The progressive campaign signals the brand’s intent to slash through conformity and lead the path forward for luxury standards. The overhauled brand identity is rooted in the progressive spirit of founder Lou Jenn and delivers for today’s tastemaker lifestyle with more than 70 new product offerings. JennAir is actively breathing new life into the very meaning of luxury as showcased at the booth in its product offerings from the new design expression, RISE™. A defiant new design, RISE marries tradition and power with progressive design, representing a rebellion within the luxury appliance category that both empowers the discovery of genuine personal style and illuminates kitchen detail. 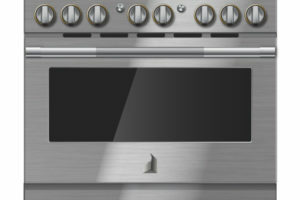 Embodying the spirit of Bound By Nothing, RISE delivers a suite of precise, powerful appliances for consumers who are unwilling to settle for the status quo, including column refrigerators, built-in refrigerators, professional-style ranges, rangetops, cooktops, wall ovens and dishwashers. 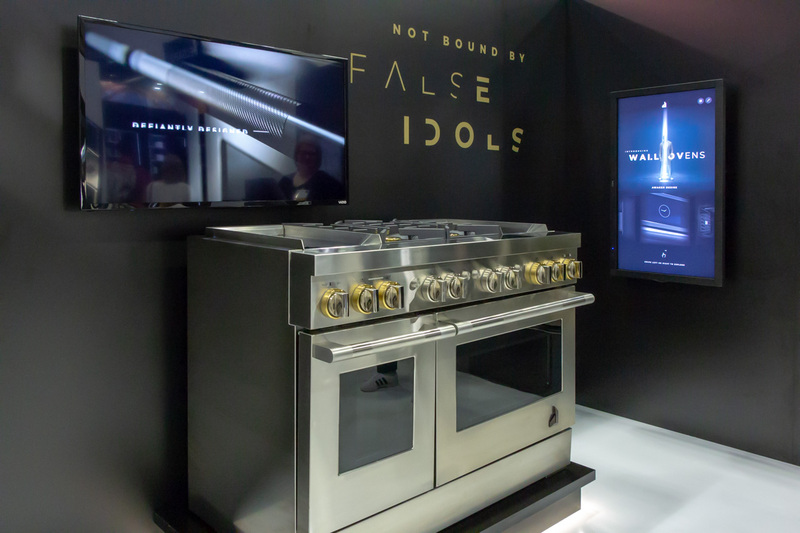 Professional-Style Ranges: Across RISE, the JennAir ranges feature broad customization opportunities, frictionless connectivity, and unconstrained cooking experiences, marked by daring, undeniable details. Brushed brass collars the bladed knobs, while precise, dual flames ignite unmistakable firepower. Untethered Wall Ovens: Mirroring key product benefits of RISE professional-style ranges, connected wall ovens boast the JennAir Culinary Center, delivering on-screen food assistance backed by customized algorithms, full-color food photography, doneness levels, pan types and menu-specific tips. Luxury Dishwashers: The RISE dishwasher makes no sacrifices when it comes to power and frictionless connectivity. The JennAir Trifecta™ Wash System delivers a brilliant clean at an ultra-low volume with three-stage filtration, pressurized wash arms, and alternating wash action in two wash zones. In addition, WiFi connectivity maximizes usage capabilities, including remote start with custom wash styles, real-time notifications and the ability to check cycle status remotely via the JennAir app. Column Refrigerators: New JennAir Column Refrigerators redefine luxury refrigeration, opening consumers’ eyes to obsessive craftsmanship and beauty. The daring Obsidian interior, inspired by the beauty of volcanic glass, yields reflective, high-contrast style, allowing fine foods and beverages to emerge vibrantly, while the stealth flush doors and concealed details seamlessly melt in their surrounding. With the unmistakably provocative design of RISE, consumers and designers can sink their teeth into something substantial, and in more than 300 customizable combinations.